Toyota revealed their updated Tacoma mid-size truck lineup for 2020 at the Chicago Auto Show today. Solidly the best performing and best-selling mid-size pickup truck over the last 14-years, Tacoma faces new competition in 2019 from new Ford Ranger and Jeep Gladiator trucks arriving in dealerships this year. 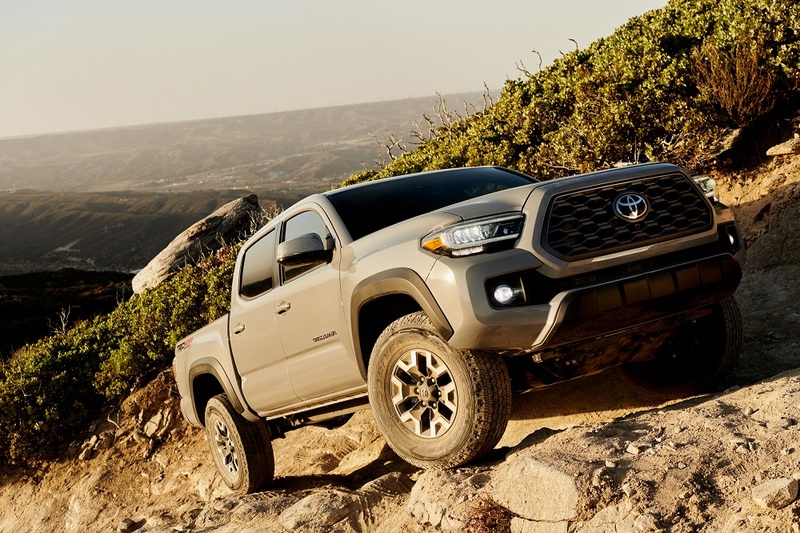 The Toyota team is not flinching one bit with a 2020 Tacoma lineup that features revised styling, expanded multi-media tech, more comfort and convenience along with improved off-road capability. 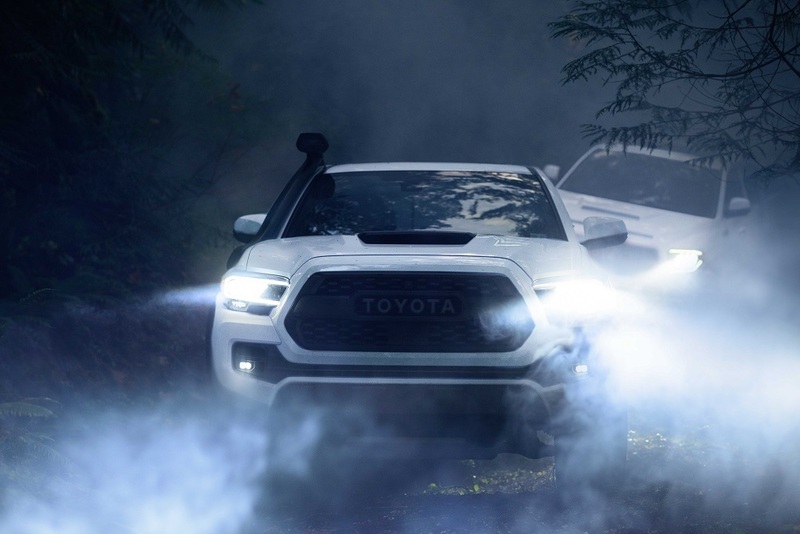 In fact, they welcome the competition saying “Bring it” as they took the wraps off their 2020 Tacoma line as part a broader introduction of an expanded TRD Pro line of Toyota trucks in Chicago. 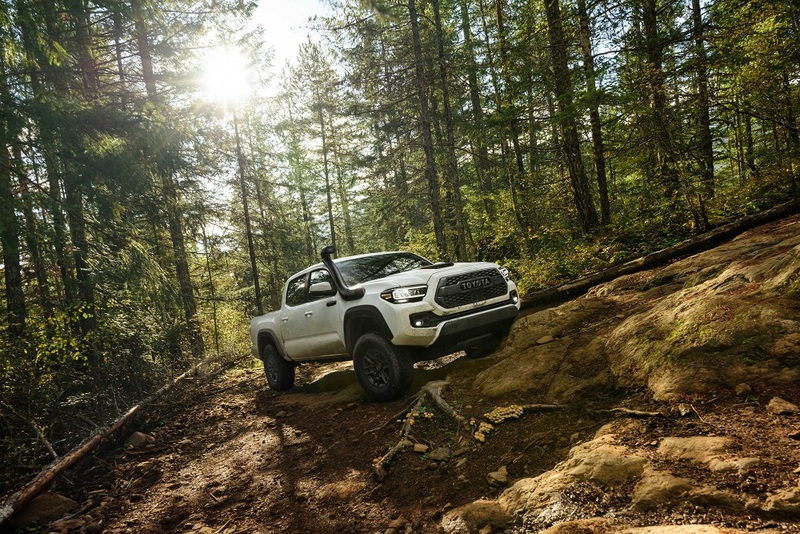 Leading the enhanced TRD Pro lineup for 2020 is the trail taming Tacoma TRD Pro with a new look and more features. 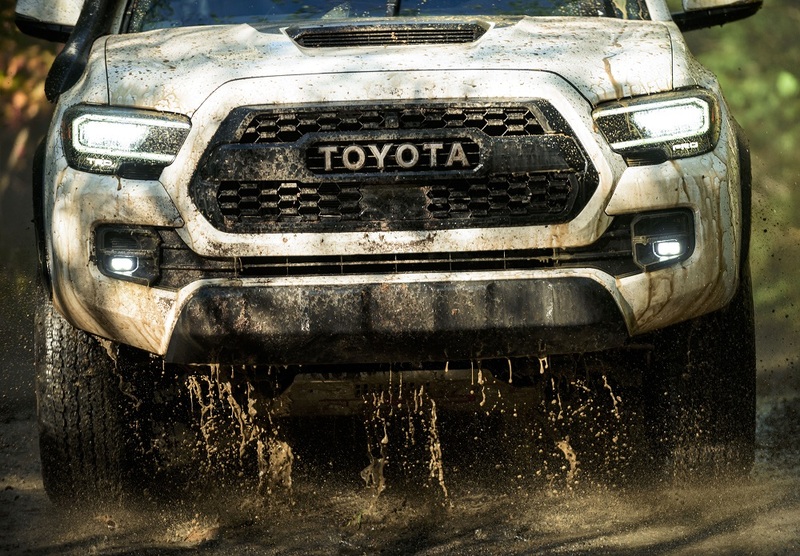 New elements you will notice right away are the exclusive TRD Pro Army Green color, new 16-inch wheel designs mounted with Goodyear Wrangler All-terrain Kevlar-reinforced tires, sequential LED DRL headlamps, black-insert taillamps plus standard Rigid Industries LED fog lights. 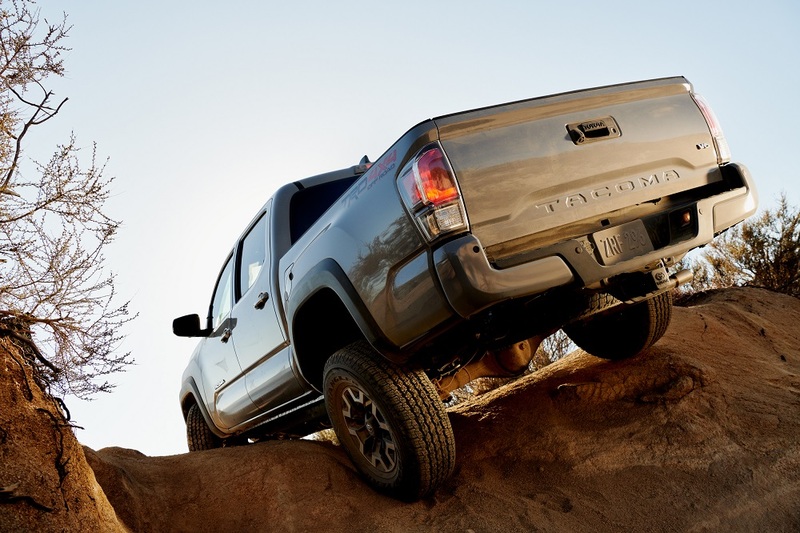 Underneath, the 2020 Tacoma TRD Pro features updated tuning of its Fox 2.5-inch internal bypass shocks, front and rear springs for better handling and ride both on and off the road. Inside, TRD Pro adds a new 10-way power seat (at last), an upgraded 8-inch touchscreen display, Android Auto, Apple CarPlay with a power moonroof and JBL Premium Audio both standard on TRD Pro automatic transmission models. The driver gets a high-tech trail management assist with the new (all around) Panoramic View Monitor that even includes an under-vehicle terrain view – to manage the toughest of hill climbs and descents. 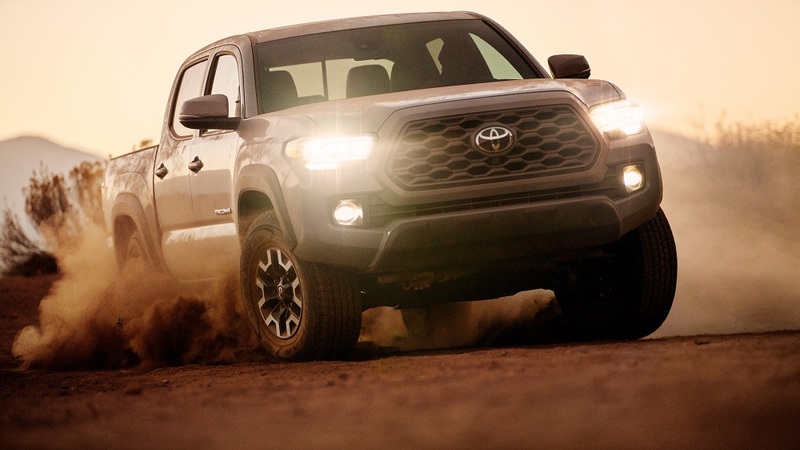 The Tacoma TRD Pro comes standard with a 3.5L V6 and 6-speed automatic transmission coupled to – also standard – 4WDemand part-time 4-wheel drive with electronically controlled transfer and locking differential. The automatic transmission equipped TRD Pro features Hill Start Assist Control, Multi-terrain Select and Crawl Control functionality as well. 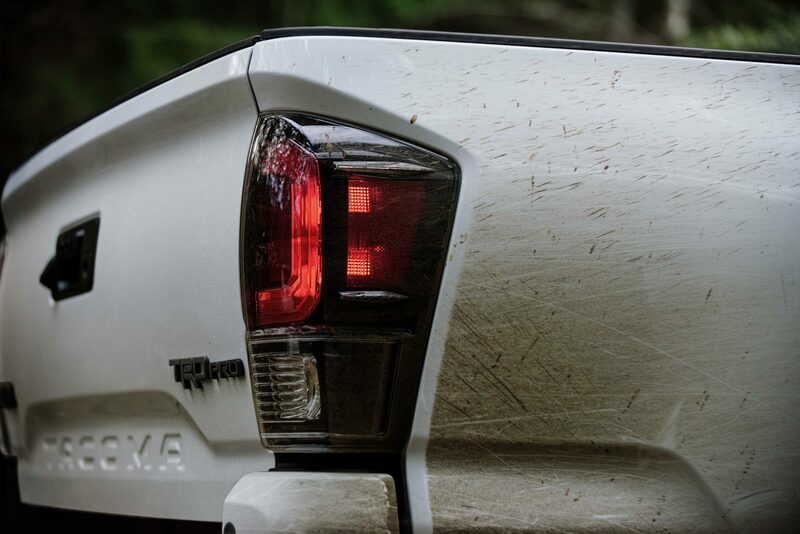 The base Tacoma SR working truck gets a new grille, intermittent wipers, revised taillights with a LED bed lamp optional. Inside additions include a larger 7-inch touchscreen display with Android Auto, Apple CarPlay Amazon Alexa and SiriusXM capability. The more stylish SR5 also gets a new grille design, new 16-inch dark satin wheel color, dark taillight housings, 8-inch touchscreen, new 10-way power adjustable driver seat and an updated fabric design on seatbacks. A LED bed lamp and DRL headlights are available options. The sporty and capable TRD Sport gets 17-inch wheels, new grille, Smart Key Entry, chrome taillamp inserts and LED fog lamps. Optional items include LED DRL, LED headlights and the LED bed lamp along with the new Panoramic View Monitor system. A new grille design, LED fog lamps, taillamp inserts, Smart Key entry also come on the TRD Off-Road. The Multi-Terrain Monitor with under view is available as are the LED DRL, LED headlamps and LED bed lamp. 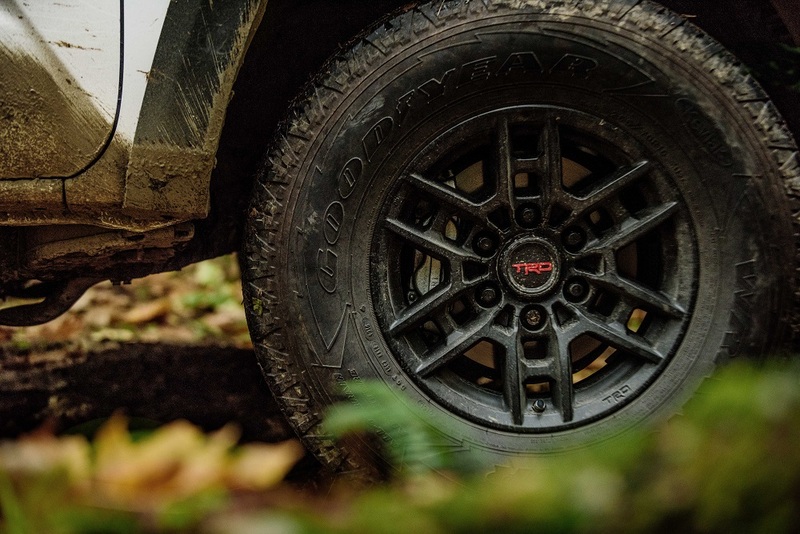 The TRD Off-Road comes standard with TRD-tuned Bilstein shocks, locking rear differential, Hills Assist Control, Multi-Terrain Select and Crawl Control. Both power plants are mated to the veteran 6-speed Electronically Controlled Automatic Transmission with intelligence (ECT-i) tuned for optimum performance of the vehicle mode. For ‘purist’ gear shifters, the V6 can be teamed with a 6-speed manual transmission. Owners who need to tow that boat, camping trailer or other gear to their adventuring site are covered. A Tacoma Tow Package is standard on V6 models. It includes Class IV Receiver Hitch, Transmission Fluid Cooler, power steering cooler, 130-amp alternator, 4 & 7 pin connector with converter and Trailer Sway Control. So equipped, Tacoma tows up to 6,800 pounds. Toyota Safety Sense (TSS-P) with Pre-Collision with Pedestrian Protection, Lane Departure Alert with Sway Warning, Automatic High Beams and High=Speed Dynamic Radar Cruise Control, is standard on all Tacoma trucks. 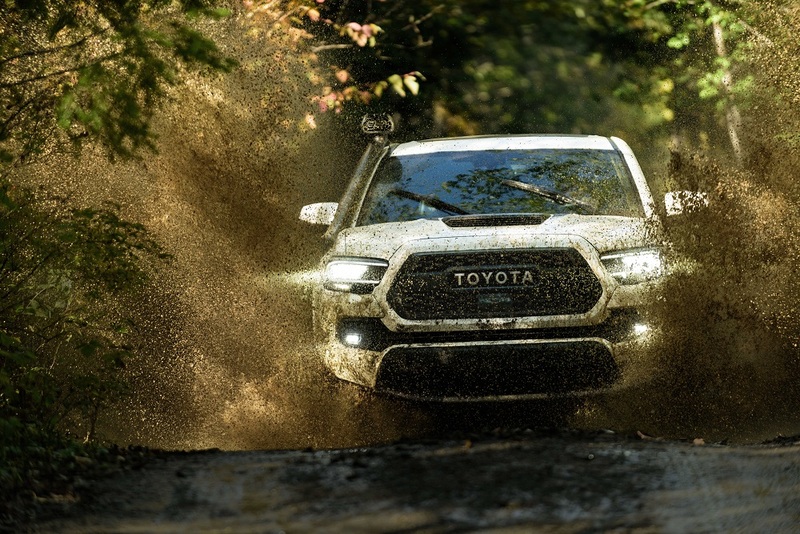 Pricing for the 2020 Tacoma line and TRD Pro features along with other performance detail will be announced closer to arrival in dealerships later this year. 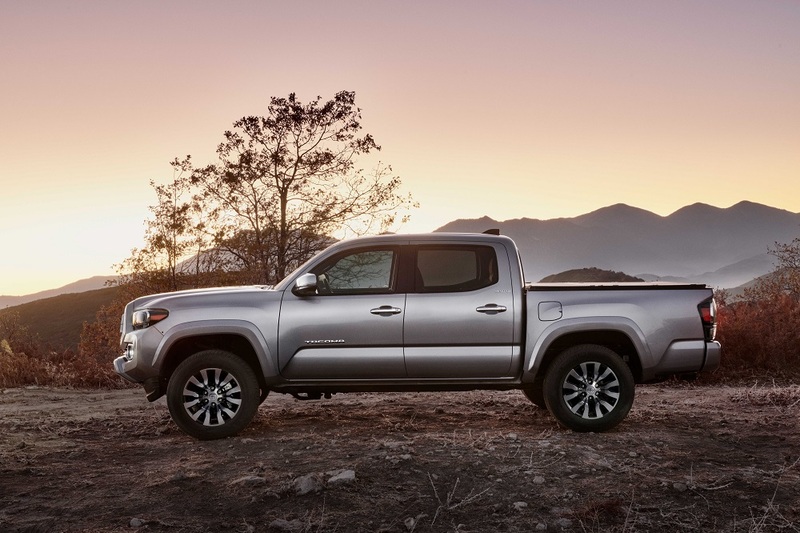 The 2019 Tacoma – available in dealerships now – is already taking on the newcomers. Finishing 2018 with a 46.8 percent share of the mid-size segment, we see them continuing their strong leadership even with new trucks from Ford and Ram. Those new entries, Ford Ranger and Jeep Gladiator, will surely add volume to the segment overall in 2019, but not at the expense of Tacoma. We think most of those buyers will come from pent-up demand of Ford owners wanting a smaller truck than F-150 and Jeep Wrangler owners wanting a Wrangler with a truck bed.